The vacation is winding down and I'm reviewing the photos we took along the way. I just had to share this one. 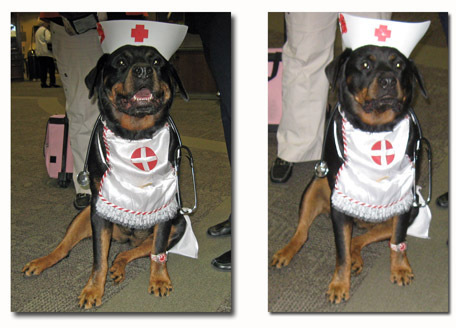 It is a red cross visiting dog that was at the hospital when we attended the Breast Cancer Quilt dedication at the hospital. It was the most docile dog I have come across and made everyone stop mid step when they saw her.